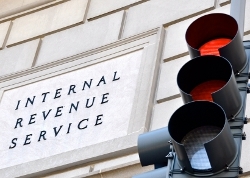 IRS tax problems can occur for a number of reasons. Whether you failed to file your taxes, are dealing with a levy or lien, or have been issued an IRS audit notice, Denegri & Associates can get you tax relief. Our Sonoma County CPA firm will work with the IRS on your behalf to settle your tax debt. We are tax professionals committed to finding a fair solution to your tax problem. If you need help with representation before the IRS, call us at (707) 546-1484 to discuss your options today. Delinquent Tax Returns and Back Taxes. Denegri & Associates will help you complete your unfiled taxes and identify options to pay off any outstanding debt. IRS Liens and Levies. Denegri & Associates can help you negotiate tax settlement options and avoid property seizure by the IRS. If you're ready to discuss your tax settlement options with Denegri & Associates, give us a call at (707) 546-1484 to set up a free initial consultation.